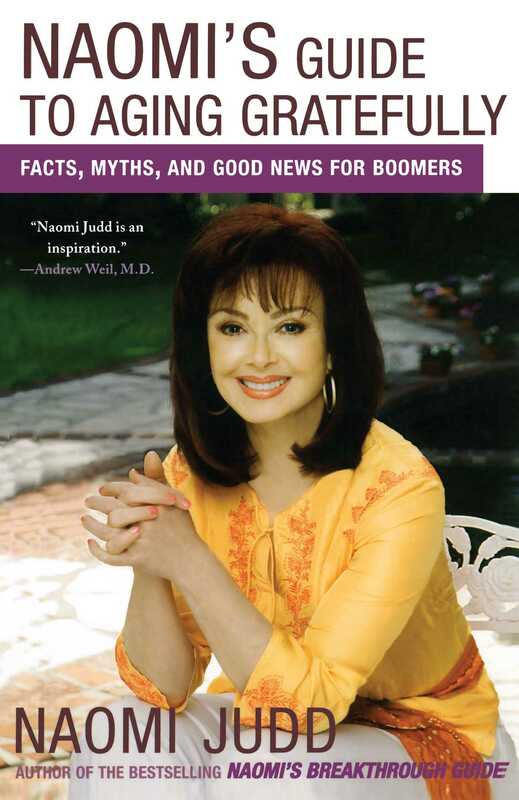 Naomi Judd has been called "The Face of the Boomer Generation." At 78 million strong, boomers have become America's largest demographic. In Naomi's Guide to Aging Gratefully, she debunks society's harmful myths about aging and finds more meaningful ways we can define ourselves so we can enjoy (rather than dread) getting older. Naomi offers tips on finding simplicity, streamlining possessions, disengaging from "energy vampires," and discovering the most effective ways to support your life force and boost your energy. Each chapter includes vital new health information and proactive lifestyle suggestions for your body, mind, and spirit. Naomi has a solution-oriented approach to everything from beauty tips to getting in sync hormonally with bioidentical HRT. She also offers wisdom on dealing with grief as well as enlightening ideas on how to recognize and enjoy your own uniqueness no matter how old you are. Packed with personal anecdotes, commentary from celebrity friends and data from renowned doctors, and plenty of Naomi's own special brand of lemonade-out-of-lemons wit and wisdom, Naomi's Guide to Aging Gratefully encourages readers to believe that it's never too early or too late to enter an important new chapter in their lives and embrace opportunities to become their happiest ever. "Naomi delivers powerful truths with ease and humor, in a comforting style that makes you feel like you're sitting in your living room talking with your best friend." "Naomi Judd has emerged as a Wise Woman in our culture. She is a true heroine -- one who courageously ventures into challenging territory, gains wisdom, and returns to share it.... Naomi Judd is a national treasure." "From Kentucky to Hollywood to Nashville, Naomi Judd has used her indomitable spirit to transcend hardship and create breakthroughs in her life, first in the music business and later in her health.... What an inspiration!"